I am happy to follow the discussions and participate as a Blogger on this website. Understanding the plight of my Brothers and Sisters in Africa helps me to deal with various pressures here in the United States. We still have many problems related to race and have a far way to go. 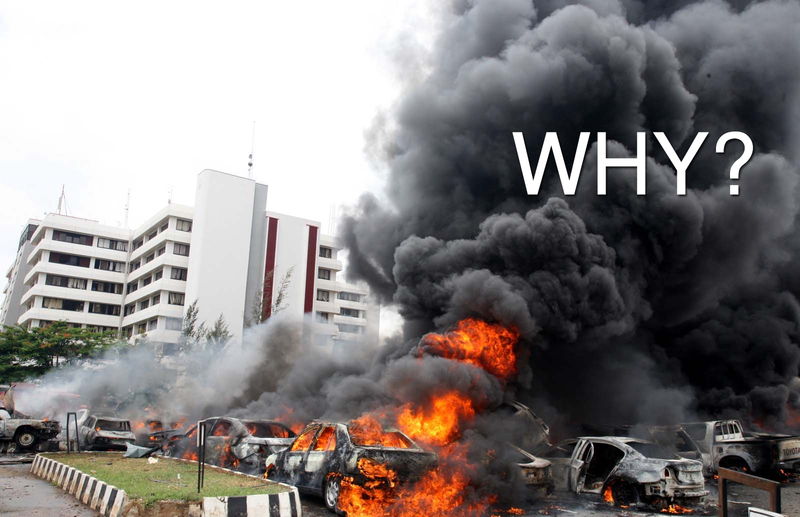 I am perplexed by the devastating impact that the radical group Boko Haram is having on the state of Nigeria. There was a story posted on CNN today about how they have captured thirty more women. This is in addition to the one-hundred fifty people killed after the numerous little girls were kidnapped. I understand that the name of the group loosely translates to "Western education is sin". The stated goal of this group, which was founded in 2002, is to establish a pure Islamic state in West Africa. One of my immediate quandaries is that the state will be based on the murder of innocent women and children. I will probably not be able to find it in the Quran where it is okay to capture little girls for whatever reason. I will definitely never criticize the Quran or the followers of Islam. Anyone remember the plight of Salman Rushdie? The Crusades were military campaigns sanctioned by the Latin Roman Catholic Church during the High Middle Ages and Late Middle Ages. In 1095 Pope Urban II proclaimed the First Crusade with the stated goal of restoring Christian access to holy places in and near Jerusalem. Many historians and some of those involved at the time, like Saint Bernard of Clairvaux, give equal precedence to other papal-sanctioned military campaigns undertaken for a variety of religious, economic, and political reasons, such as the Albigensian Crusade, the Aragonese Crusade, the Reconquista, and the Northern Crusades. In Northern Nigeria, clashes between Muslim groups—mainly ethnic Hausa and Fulani—and Christian and traditionalist communities have become a monthly affair, with devastating consequences. In this charged environment where religion functions as the primary idiom of political identity, conflicts over resources, cattle, land, and political offices have often taken on a religious coloration, with Muslims pitted against Christians. I have read about Muslims attacking Christian churches and Christians retaliating by attacking Muslim mosques. Dealing with black and white issues here in the United States can sometimes seem tame by comparison. Our future battle will be trying to regulate gun usage and radicals bent on revolution. As an outside observer, I cannot blame all of these tensions on the effects of British colonial rule. There must be some simmering tensions based on land or tribal supremacy. I would just like the indiscriminate bloodshed to cease and the lives of innocent civilians to be spared for another day. I also wonder about the response of the Nigerian government to these continued assaults by Boko Haram. How can the largest economy in Africa not have a plan to deal with terrorism from within?